We conducted a user study comparing the accuracy and speed of two zooming methods for touch-screen devices: tap-and-drag (a single-handed zooming method) and the traditional pinch-to-zoom (performed with one hand). The study involved 12 participants and employed a Google Pixel 2 mobile phone. The results for task completion time favored tap-and-drag, which was about 18% faster than pinch-to-zoom. The accuracy results for tap-and-drag were slightly lower with an average accuracy of 84.8% compared to 87.9% for pinch-to-zoom. This was attributed to users being unfamiliar with tap-and-drag. As users became more familiar and comfortable with tap-and-drag, accuracy improved. Tap-and-drag was about 47% more efficient than pinch-to-zoom, with efficiency measured as the number of gestures to complete a trial. 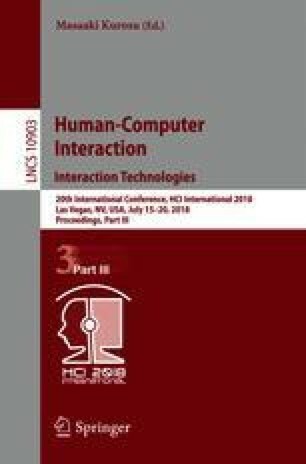 Participants indicated a preference for tap-and-drag for one-handed zoom gestures.